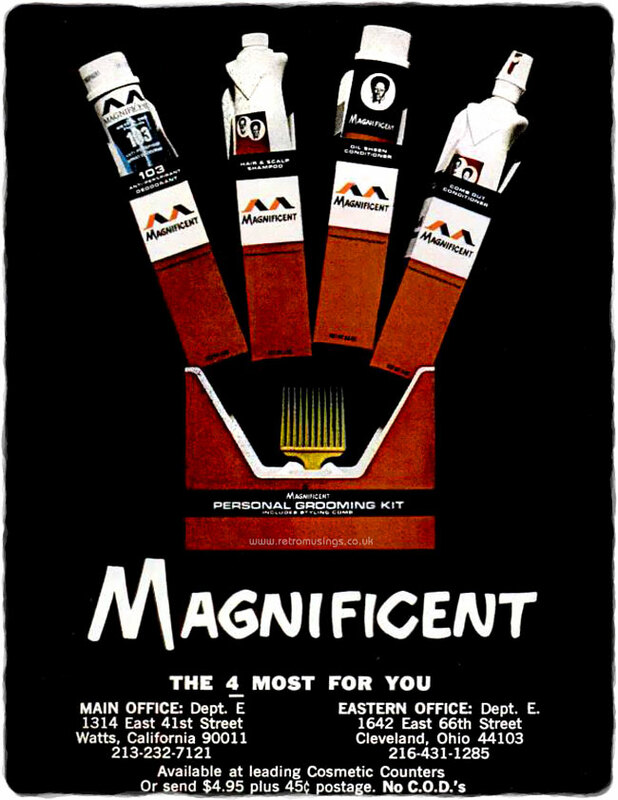 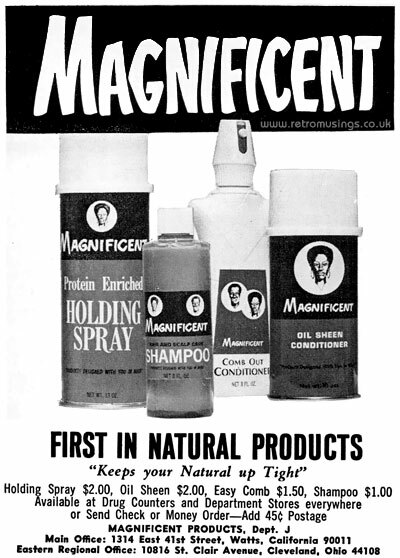 These ads for Magnificent hair care products date from 1968-71. 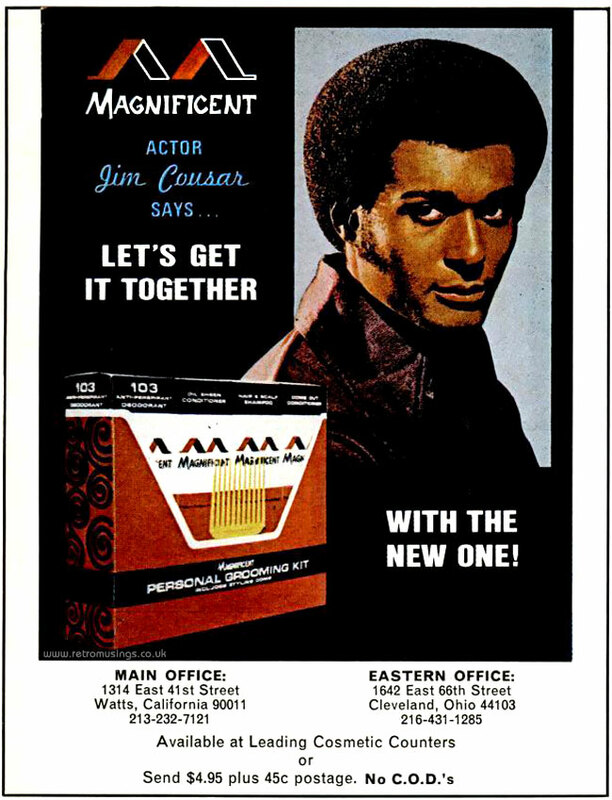 The “Personal Grooming Kit” ad ran from late 1970 into 1971, and contained shampoo, two types of conditioner, deodorant and a comb. 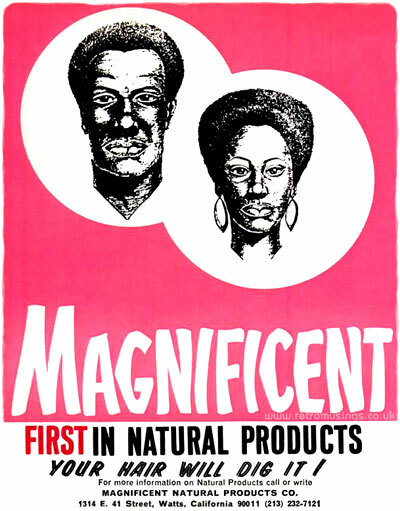 These ads ran from 1968 to 1970.